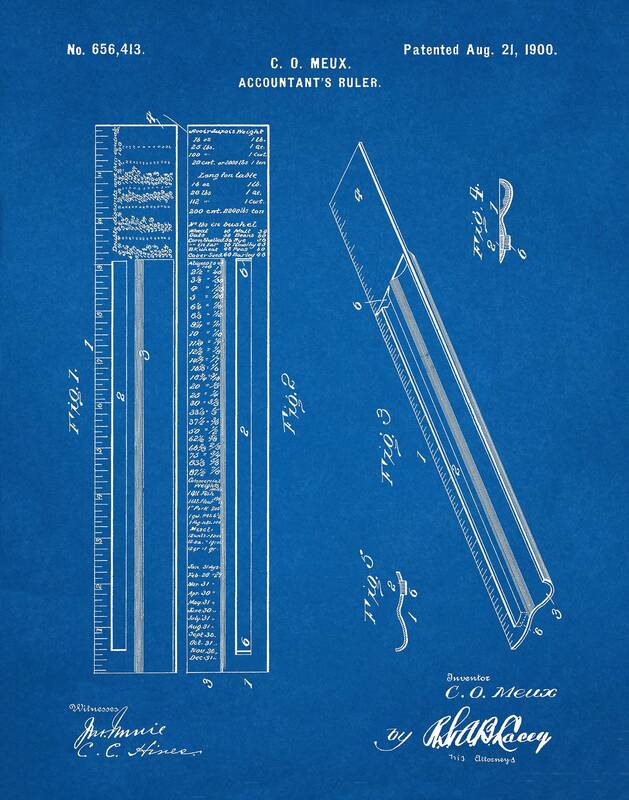 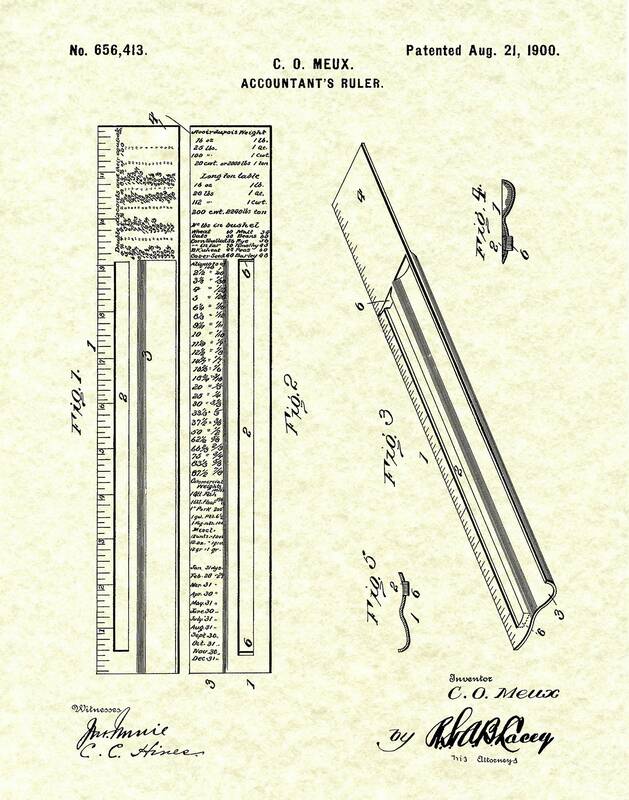 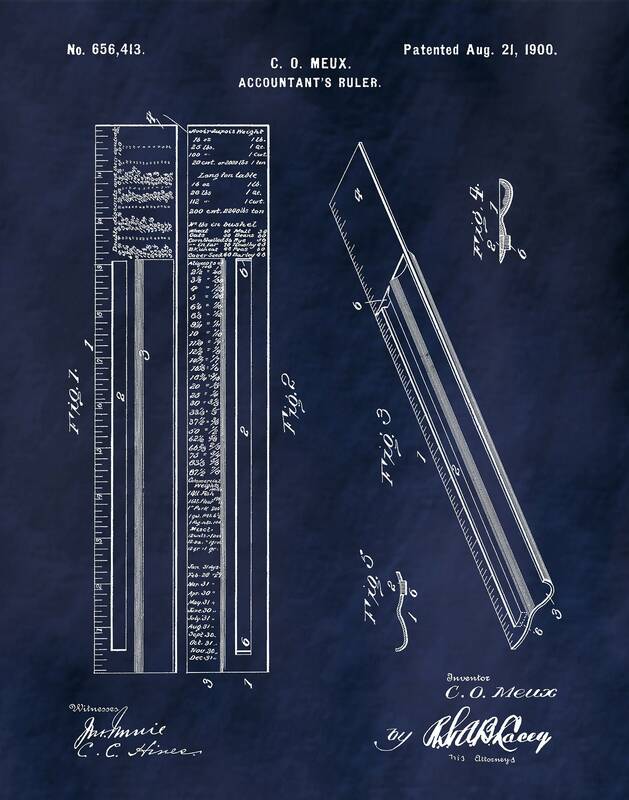 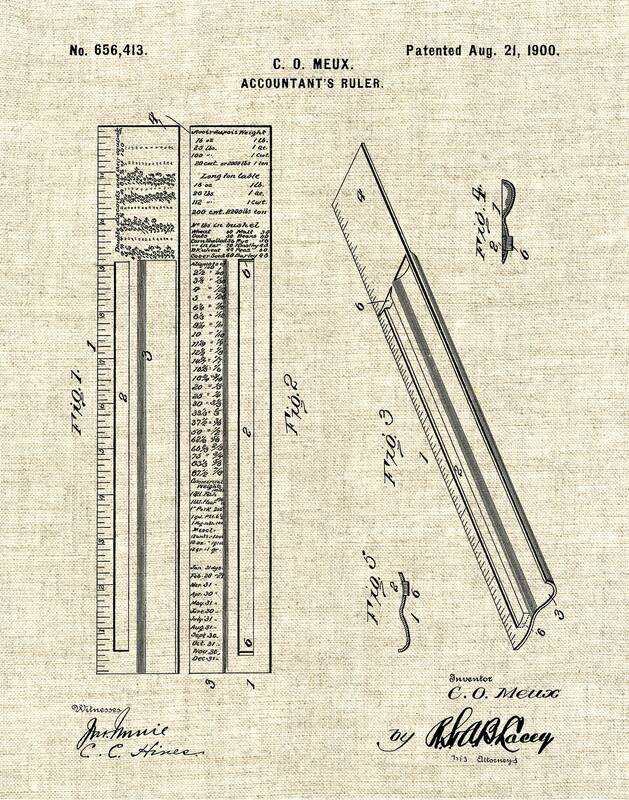 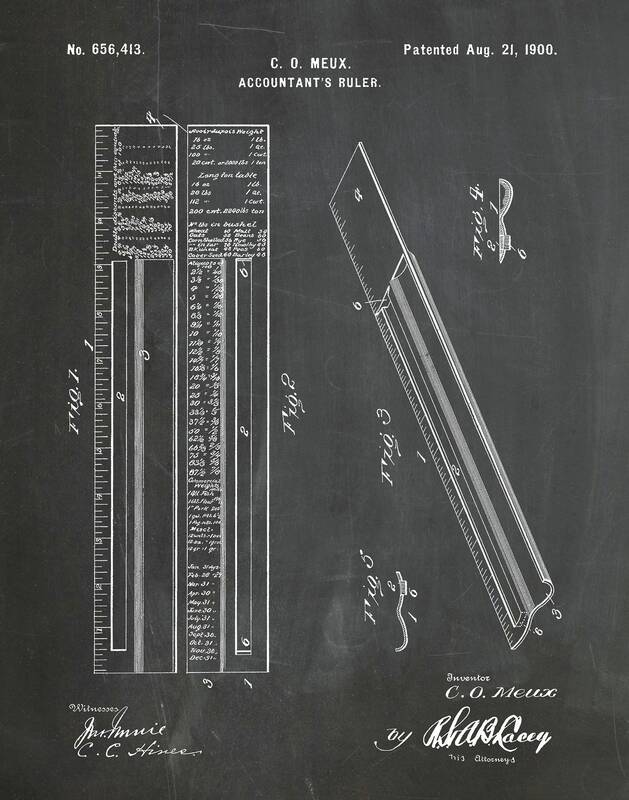 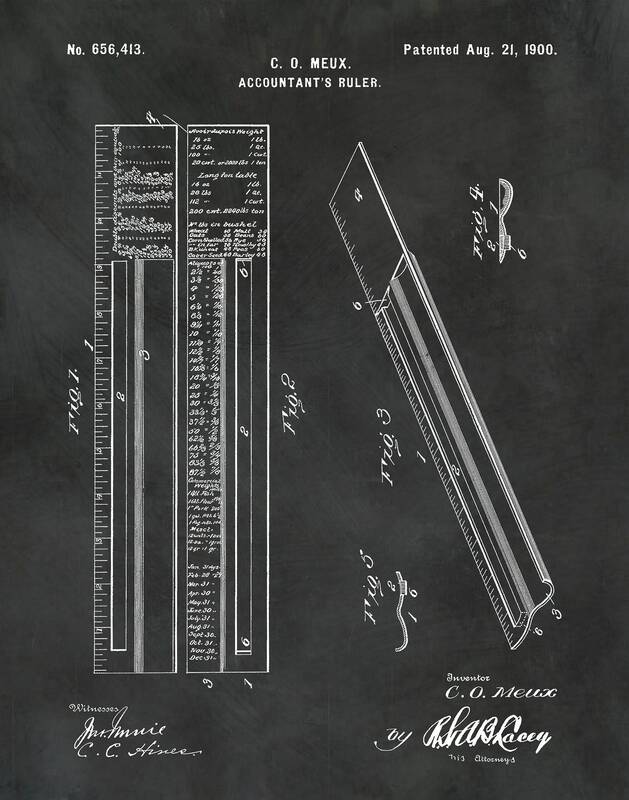 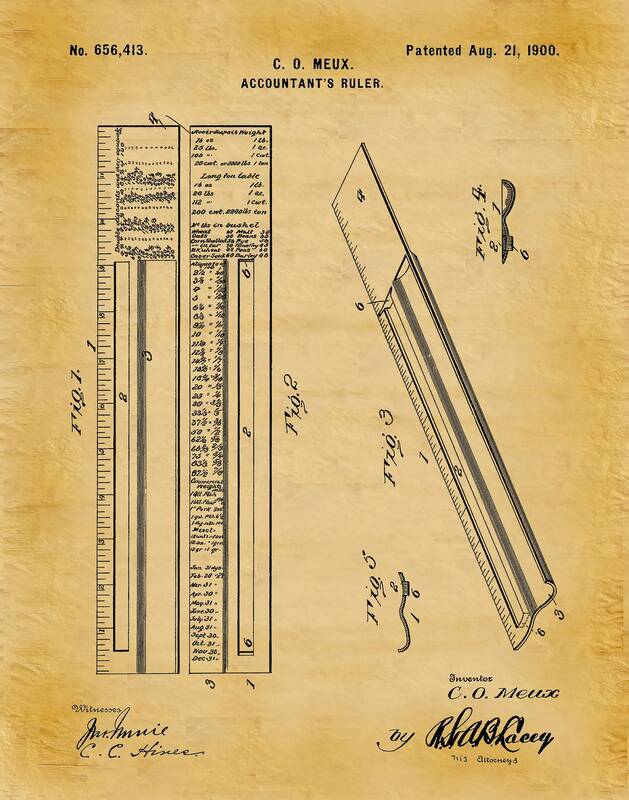 1900 Accountant's Ruler Patent designed by C.O. Meu. 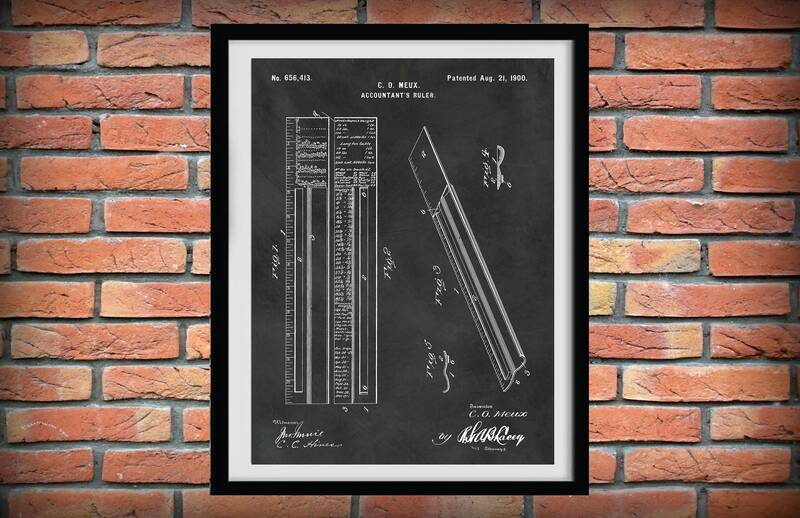 The patent was issued by the United States Patent and Trademark Office on August 21, 1900.